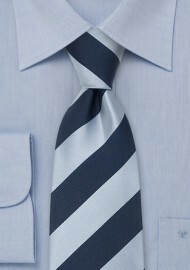 This tie combines two of the most popular necktie colors: Navy blue and a light powder blue. The wide stripes on this tie give this tie a preppy business look. This tie is part of Parsley’s “Lighthouse” Collection. This necktie series is characterized by wide stripes in two harmonizing colors. 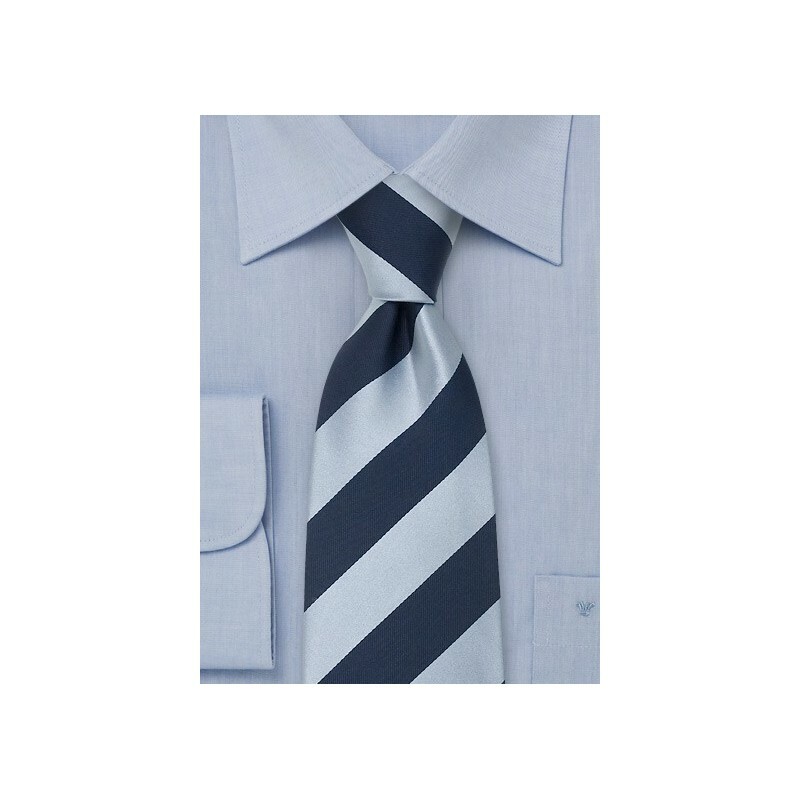 It is a classic business tie that will match well with most shirt and suits. A very fine silk fabric is used for this necktie series. This gives the tie an excellent shine and soft feel. This is made in extra long length for taller men. If you are above 6’3” then XL ties are a good choice for you.